As parents when you hear the word cerebral palsy or HIE Hypoxic Ischemic Encephalopathy or brachial plexus injuries you are usually dealing with the most horrific and life threating injuries you never thought or imagined could happen to your infant child. John D. Giddens and the Giddens Law Firm have been handling medical malpractice cases throughout the state of Mississippi and the Southeast for over twenty-two (22) years. Giddens Law Firm has successfully settled and litigated to jury verdict birth injury cases for parents of injured infants. Cases against an obstetrician can be extremely difficult. Rarely a treating obstetrician will truthfully inform the parents of an injured baby of how and why that injury occurred. Typically injured infants are handed off to the neonatal intensive care unit. Questions from the treating obstetrician (OB) are usually unanswered. Between twenty-four (24) and forty-eight (48) hours or sooner after birth, or directly at birth, a neonatologist will assume the primary care giving responsibility for an injured infant. This takes the treating obstetrician out of the treatment window deferring later treatment decisions to neonatologists the later treating physicians. 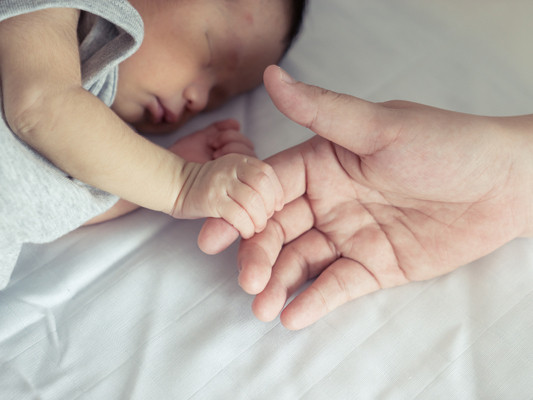 As parents of an injured infant questions regarding the fetal monitoring strips and what should have or could have been done during the labor process are often tabled so that attention can be given to the catastrophically injured infant. The neonatal team has an independent duty to evaluate and treat all infants that meet the protocol criteria for asphyxia. If your infant has suffered an asphyxiated event typically the infant will be offered cooling therapy or therapeutic hypothermia. This is often offered with whole body and/or selected head cooling or both where appropriate. Recent studies have shown that effective cooling should be initiated and conducted within six (6) hours of birth and continue for seventy-two (72) hours with rewarming every four (4) hours in NICU. Since February 2010, the neonatal task force of the international liaison committee on resuscitation (ILCOR) states that infants born at term or near team with evolving moderate to severe HIE should be offered therapeutic hypothermia (cooling). These treatments can be life changing, for your injured infant. Acidosis; arterial Ph < 7.1, or a baseline deficit (BD) > equal to 12 within sixty (60) minutes of birth. Cochran Neonatal Review Group, June 19, 2012. You will have questions as to whether a sentinel hypoxic event occurred immediately before or during labor. Signs that help with determining causation include APGAR scores, fetal and umbilical artery acidemia, evidence in neuroimaging such as MRI or MRS consistent with HIE and multi-system organ failure consistent with HIE. The bottom line is that the obstetrician and/or OB team will argue that the infant was not asphyxiated and argue other causes for the birth injury. The neonatal team on the other hand has an inherent conflict with the obstetrician and will treat your child as an asphyxiated infant excludes metabolic, bleeds, or other genetic causes, usually part of the blame game/cooling protocol defensive posture. Giddens Law Firm understands what it takes to prove and infant suffered an hypoxic injury with asphyxiation. We have the resources to go toe-to-toe with the insurance carriers for the obstetricians. Secondly, Giddens Law Firm understands the liability the nurses may have had in the assessment of the fetal monitoring strips and their independent duty to the patient. Nurse training is critical. Nurses should be trained to recognize the signs and symptoms of fetal injury, hypoxia, acidemia, and/or sentinel events which require immediate medical attention. They have the duty to follow hospital’s policies and procedures. Nurses should not push drugs like Pitocin which often times leads to the over-stimulation of the uterus causing coupling, doubling and tripling contractions which can deplete and infants oxygen reserve. when necessary, they can be held liable under Mississippi law for their negligence. This liability is separate and independent from the treating OB and/or his or her practice group. When there is a catastrophic and tragic loss, including death or injury, it is typically a multi-disciplinary issue between doctors and nurses mostly involving improper training and improper communication. If you feel your infant has suffered an injury because of the inattention and improper training and improper action(s) by the obstetrician and or the midwife and/or OB delivery nurse, contact our firm immediately for a free consultation. Time is often not on your side, it is imperative you take immediate action as soon as possible, so please call us today for a free legal consultation and case analysis toll-free @ 1-888-335-2022.